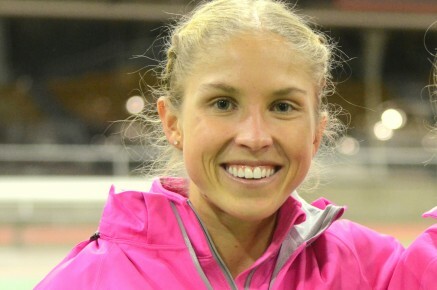 9th October 2016 – Jordan Hasay (USA) showed that a recent block of hard consistent training has put her in great shape with victory at the US 10 mile championships in Minneapolis. A fast early start split the field right from the gun and soon only 4 athletes were in contention. By 6 miles this was down to three and at 8 miles only two, as Jordan ran stride for stride with Aliphine Tuliamuk. Into the final half mile and Jordan’s strength showed as she charged up the final hill and moved away to ultimately take a convincing 12 second victory in a time of 52:49. Jordan not only won the women’s race but was also the overall champion after holding off all the men who started 5 minutes and 43 seconds behind. Elsewhere on the roads, several PACE athletes have been competing over the half and full marathons. Commonwealth Champion Moses Kipsiro (UGA) showed that his preparations for the New York Marathon are going well with a fine run at the Great Scottish Run in Glasgow. Despite not being able to defend the title he won last year, his time of 60:54 was his second fastest half-marathon ever and gave him second place. Chris Thompson (GBR) also showed that he is in good shape as he embarks on three races in four weeks clocking 61:58 for fourth. Doris Changeywo (KEN) tuned up for the Frankfurt Marathon at the end of October by running 71.34 and was third in the women’s race. Duncan Maiyo (KEN) and Emmanuel Bett (KEN) both took top 10 placings at the Eindhoven Marathon. Duncan finished very strongly to move through the field over the final stages and take fourth place in a new personal best of 2:09:25. Emmanuel (who was making his marathon debut) finished ninth. Two more experienced marathon runners Mark Kiptoo (KEN) and Micah Kogo (KEN) did not have the runs they were hoping for and had trained for the at the Berlin and Chicago marathons respectively, but they will be looking to bounce back very soon.